Afghanistan Zimbabwe America Kuwait written and directed by Daniel Talbott. May 21st - June 27th, 2015. "Leadem [is] portrayed...with a tense, brooding dread by Mr. Miskell." 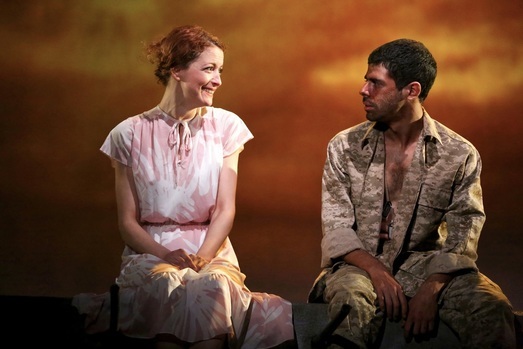 "Leadem (Brian Miskell) is tense and withdrawn, visited by visions of a ravaged woman...in Daniel Talbott's hallucinatory production, which has the rhythm and texture of a nightmare." "Brian Miskell is...brilliant. He looks like he expects to be whipped at any moment. He, too, is only relaxed and physically free in his fantasies with the Serbian girl." 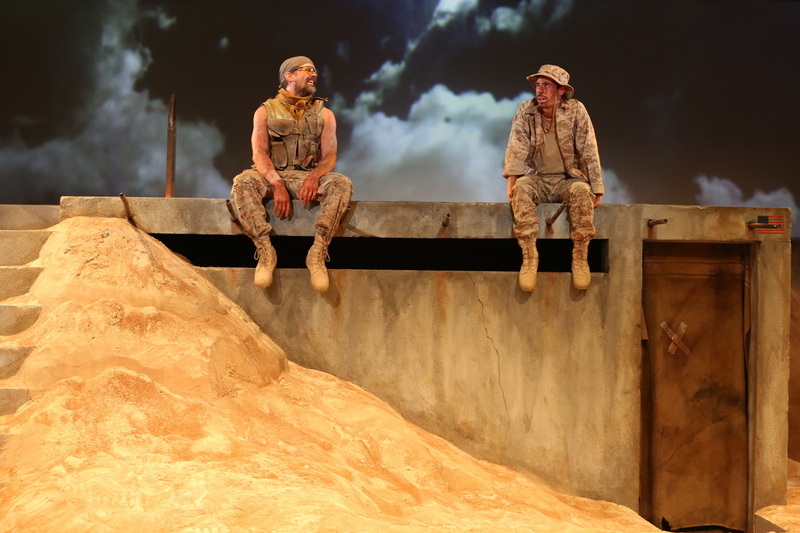 "The cast is uniformly brilliant...Brian Miskell gives a charming vulnerability to Leadem who leans heavily on his vivid imagination to survive the desert." "While Leadem comes off as inexperienced and innocent talking with his compatriots, his deeper (and darker) maturity is illuminated through his interactions with a female Serbian prisoner...whose past mistreatment at the hands of Leadem's compatriots haunts the soldier. " "It’s gritty stuff...The acting is uniformly strong." 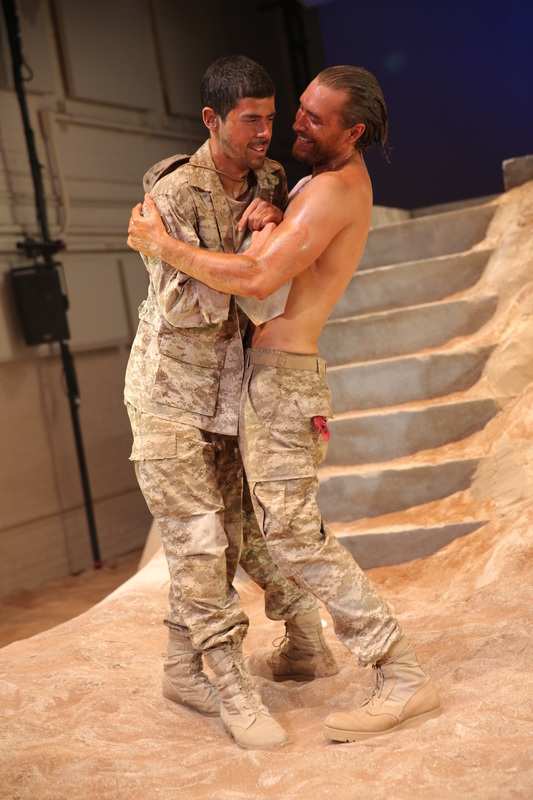 "[A] fine cast...a dark, bleak experience, an existential exploration of...the soldiers’ physical and psychological terror." "Eventually the dying men more or less go out of their minds."